It’s been a busy month. 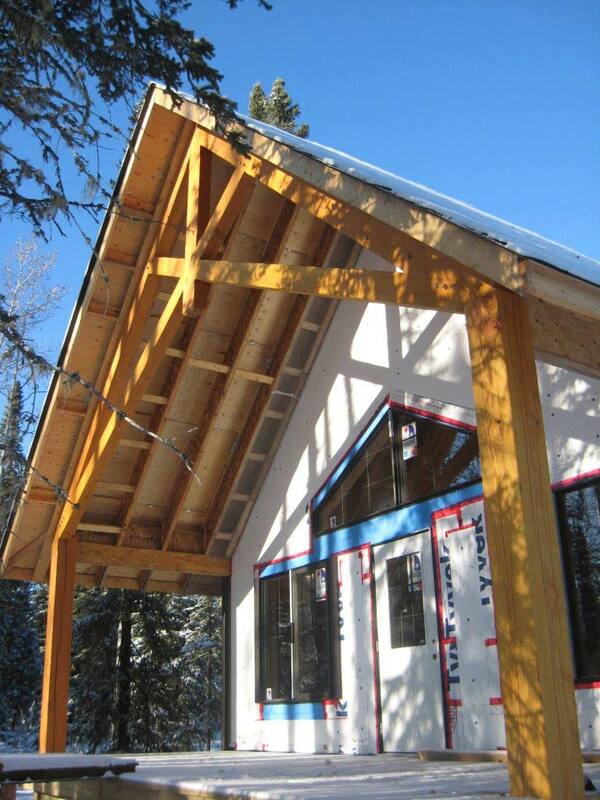 Sent two beautiful timber frame homes up to Fort Smith, NT. Crew will be raising those frames in December, stay tuned for photos. I had an opportunity to go to Fort Smith, checked out the sites where these homes will be located. While there I met with Duane MacDonald, Program Head, Apprenticeship Education & Training Division Aurora College. He proudly toured me around the campus and surrounding off-campus areas. What an amazing facility. State-of-the-art stuff going on here. Educating and training the future of the north. I gave a presentation at the Mary Kaeser Library on MiRA Timber Frame, who we are, and what we do and a brief history of timber framing. Really enjoyed my short visit to Fort Smith, NT. Already planning a return visit. 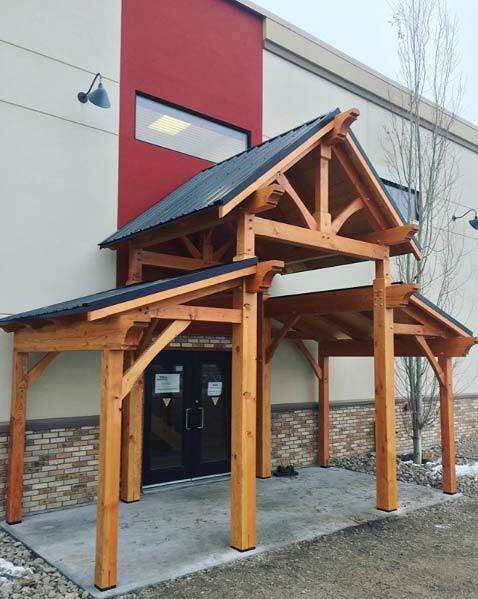 Design team was busy designing new timber frames for new clients, the shop was busy manufacturing some timber frame elements for the IGA in Devon, AB. Design team continues to be busy, people wanting their timber frame projects for the spring, keeps us busy through the winter. 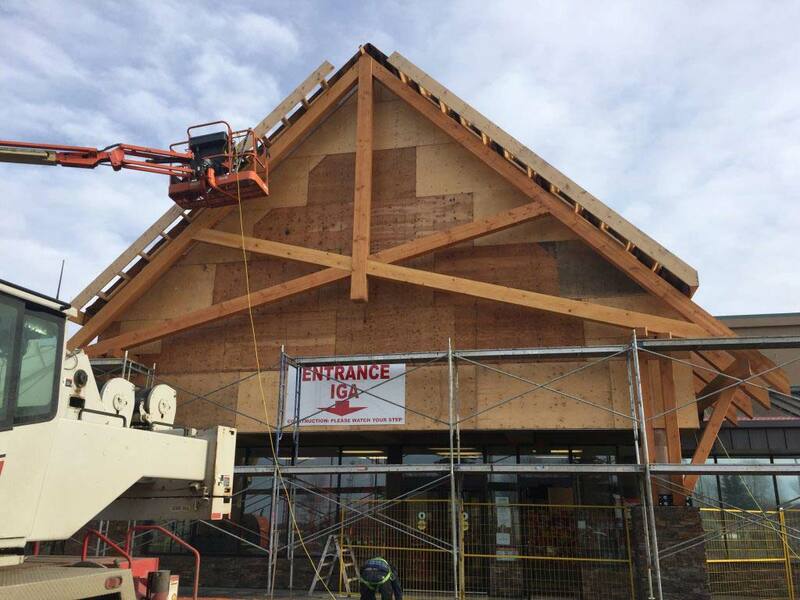 Crew was out installing the timber elements on the IGA in Devon. 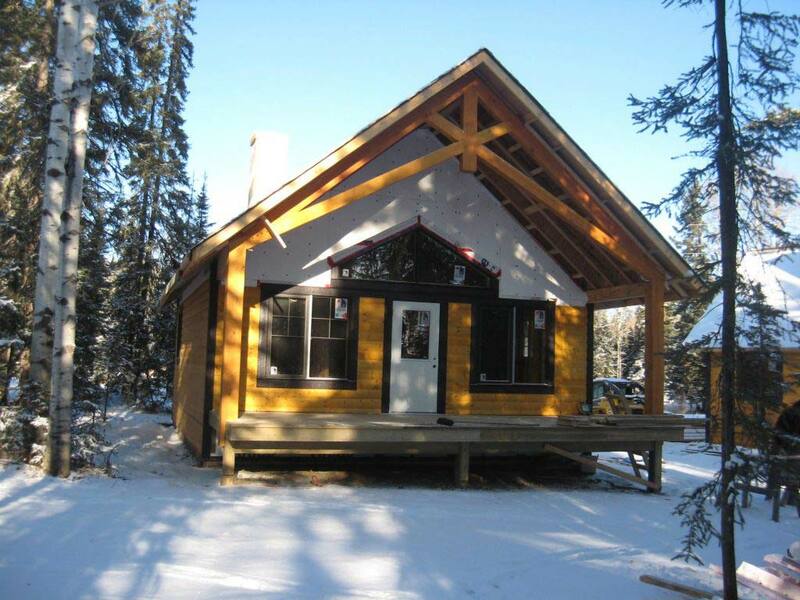 Team went out to BearBerry cabins to install some timber frame on their cabins. 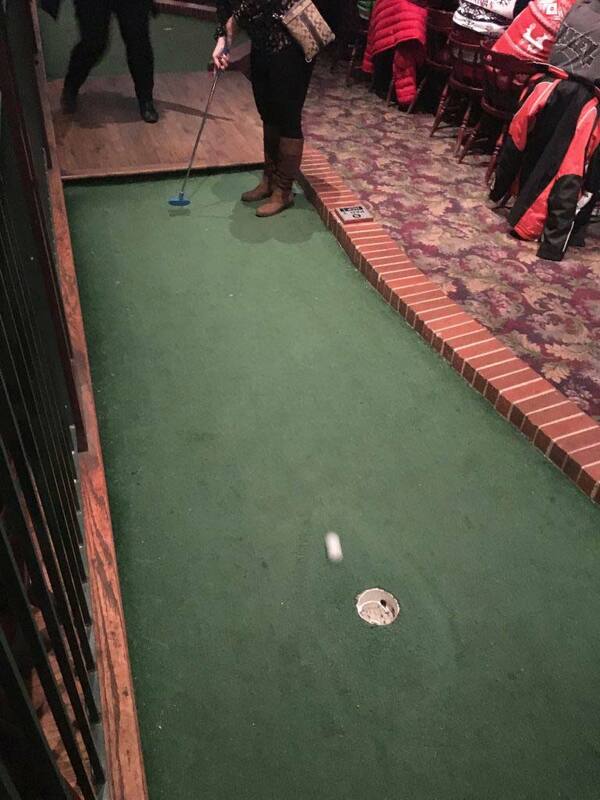 MiRA had it’s staff Christmas Party at Schanks Edmonton. It was great fun. 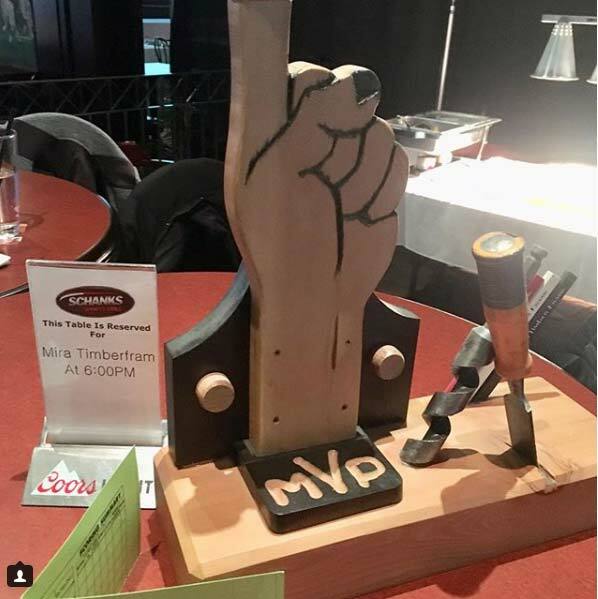 We split into teams and battled it out on the mini-golf course for the coveted company trophy. We also built a spiffy new front entry for the MiRA building. Why did we need a new front entry? The boss sold the other one!